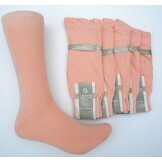 Light Salmon peach mercerized cotto.. 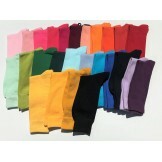 Premium cotton orange dress socks M..
6 pack groomsmen cotton orange dres..
Spearmint Green Yellow, Dark Navy C..
Magenta orange ivory combed cotton ..
Mint green orange black maroon squa..
Mint green orange purple blue squa..
Orange textured rayon formal dress .. 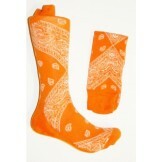 Premium Orange Cotton Bandana Dress..
Orange Argyle Cotton Comfort Dress ..
Orange socks are not generally the most popular, but orange is a bright vibrant color that can add an upbeat personal touch to you wardrobe. 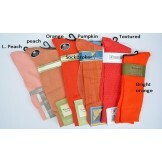 Orange is actually the only color that is named after an object. 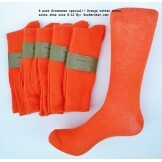 You can enjoy our orange men's dress socks in a few different shades of orange. 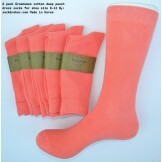 Orange comes in many shades including pumpkin, melon, perssimon, salmon, mango and terracata . . 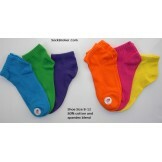 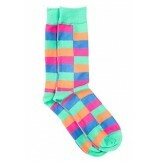 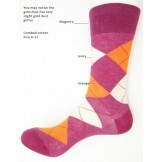 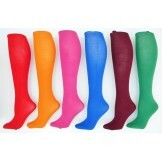 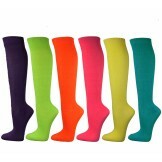 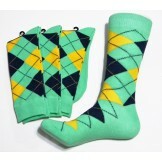 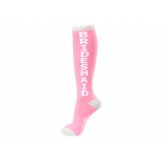 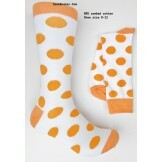 In addition to the shades we have men's cotton orange socks, rayon orange socks, and we have nylon orange socks for men.